Russian authorities have released video showing the dramatic moment an abducted businessman took the law into his own hands to ward off his kidnappers in the suburbs of Moscow. Vyacheslav Vasyukov was ambushed by three individuals in his car, a Porsche Cayenne, in central Moscow on Sunday evening, according to a statement from Russia's Investigative Committee. The individuals then forced Vasyukov into their own vehicle, a Lada, and demanded he pay 20 million roubles (€260,000) in exchange for his release. The moment Vasyukov is escorted to the vehicle can be seen in the first half of the footage in the player above. Vasyukov instead reached a compromise with his kidnappers, agreeing to pay a ransom of 1 million roubles (€13,000) and his two vehicles. But when the group arrived at Vasyukov's home to collect the agreed fee, the businessman managed to escape to his garage, where his Mercedes-Benz G-Class was located. 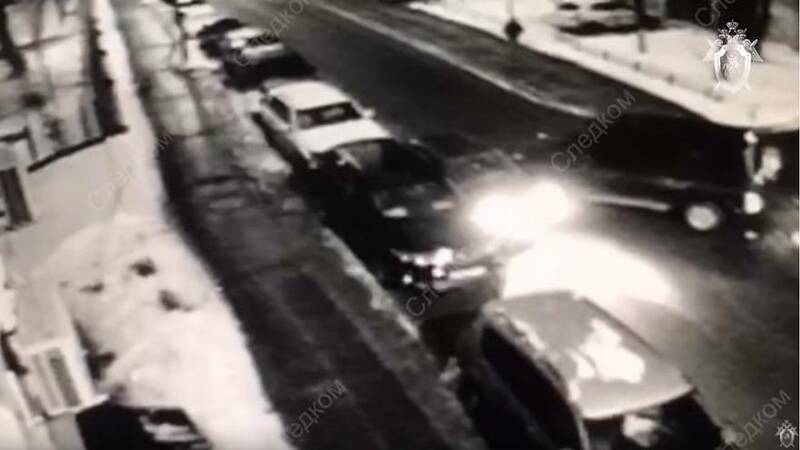 Footage released by the Russian Investigative Committee shows the moments that followed as Vasyukov, who was inside the SUV, repeatedly rams the kidnappers' vehicle. The clip can be seen in the second half of the video in the player above. According to Russia's TASS news agency, Vasyukov was also armed with a gun, which he used to open fire on the Lada. The public scuffle attracted the attention of a passer-by, who contacted the authorities, the investigative committee said. However, by the time police had arrived, two of the kidnappers had escaped. The third was arrested and later provided a full confession.